Ahhhh, May. I love this time of year- flowers are blooming, the weather is getting nicer, it’s staying lighter outside longer. It’s also BABY MONTH! Baby girl will be making her arrival any time now (she’s due May 9th, but who knows when she’ll actually deign to grace us with her presence). Today’s my last day AT WORK (I’ll be working from home starting Monday until she arrives), which is a huge relief, and now we are just finalizing things to prepare for her arrival (washing the carseat cover, installing the carseat bases in the cars, packing hospital bags, etc). May also marks just about two months into my oiling journey. I have really enjoyed using my premium starter kit, and I’ve found that I’m even running low on some of my oils (and I think I’m completely out of Tea Tree! ), which is a testament to the fact that I’m actually using them and incorporating them into my daily routine. I’ve been playing around with different combinations in Ian’s diffuser at night (to help with sleep and his cough– since that’s really my BIGGEST issue at the moment), and I’ve found that my favorite (so far) is Thieves, Purification, and Valor. 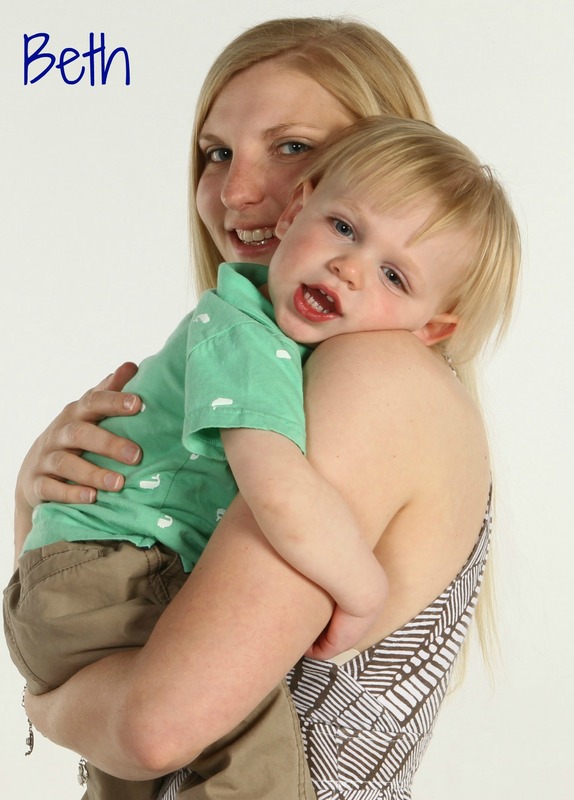 It curbs his cough and helps him sleep more restfully. Sometimes I’ll add a drop or two of Lavender, but I usually find that it’s really not necessary. Having that diffuser and these oils going at night has brought such relief! I also recently ran out of body butter (NOT good- especially if you are a pregnant lady with an itchy belly! ), but thanks to my oils I was able to whip up a new batch, which I actually like better than the store bought one I was using previously. 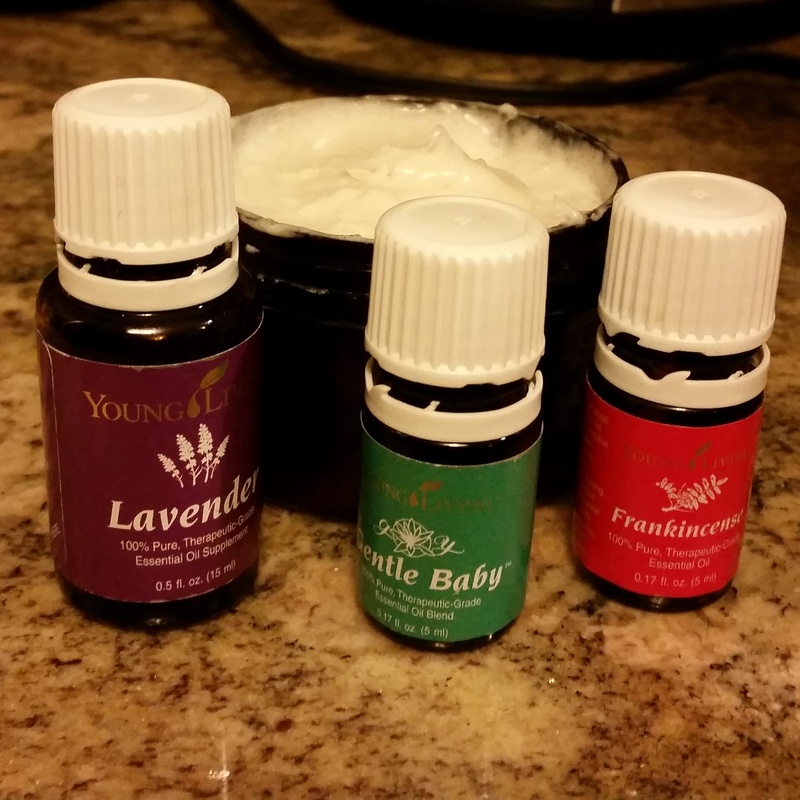 I whipped coconut oil and then mixed in Lavender, Frankincense, and Gentle Baby. It goes on really smoothly and isn’t greasy, which I love! And it keeps me non-itchy all day. Now that I’ve had time to really get to know my oils, I get excited when I’m able to share them and my experiences with others. 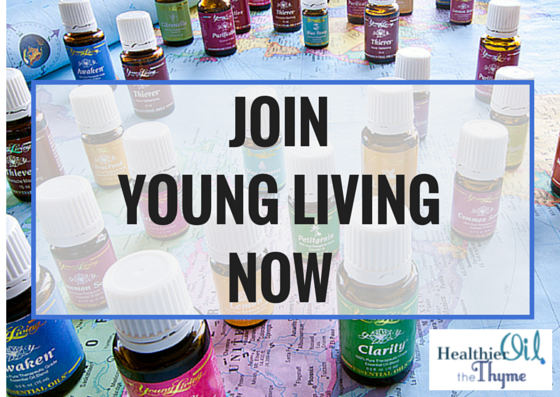 Oils are just part of my life now, so it’s so natural and fun to talk about them! I also love the learning and education component. 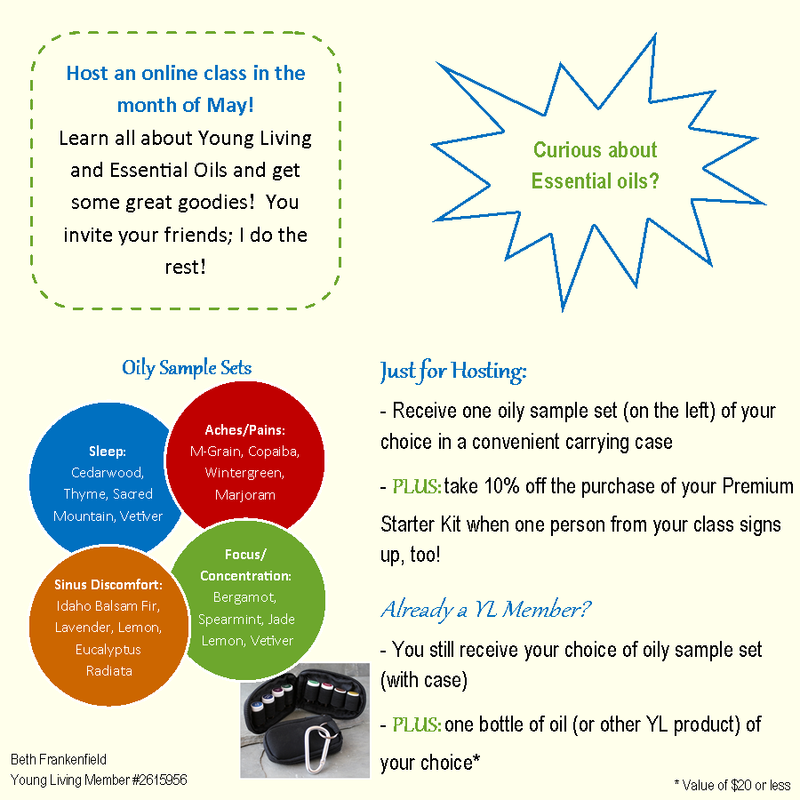 I get so much out of all the classes I attend that I want to give back and start holding classes for others who are interested/skeptical/curious/etc about Young Living and Essential Oils. If this sounds like you, and you’d like to learn more, let me run a class for you on Facebook!! For the month of May, I’m offering my hosts some oily goodies that will help expand their exposure to oils. You have nothing to lose but so much to gain! Send me an email, connect with me on facebook/instagram/twitter, or add a comment here to get your class scheduled!